Rep. Earl Blumenauer, D-Ore., a perennial farm bill critic and the sponsor or co-sponsor of 10 amendments filed on this year's bill, wants a chance for debate over long-term farm policy if the bill comes to the House floor this week. In a telephone interview from Portland late Monday, Blumenauer signaled that even though farm groups fear that some of the amendments he is backing such as cutting the sugar and crop insurance programs could pass, his larger purpose is to take time to bring up some of the farm bill issues for which he has been known for years: the high cost of commodity programs and crop insurance, the emphasis on commodity crops versus specialty crops, and making conservation programs more accountable and focused on issues such as clean water rather than cleaning up animal agriculture operations. "Resources are skewed toward people who don't need it," Blumenauer said. This year's farm bill, he added, is "worse than the status quo" because it makes it easier for big farmers to collect more government money and cuts conservation spending in addition to the changes it makes to the Supplemental Nutrition Assistance Program. The House Rules Committee is scheduled to meet Wednesday at 3 p.m. to discuss how many of the amendments filed — 107 so far — will be allowed for debate, and it's unclear whether any of Blumenauer's amendments will be ruled in order. 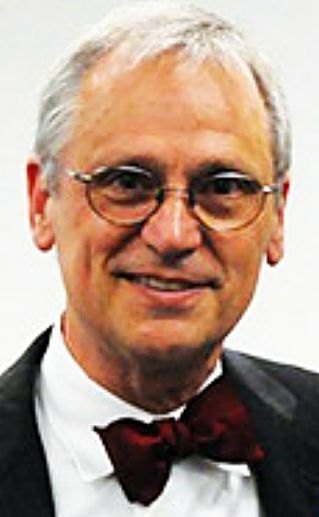 Although House Agriculture Committee Chairman Michael Conaway, R-Texas, has proposed that rules not allow anyone who isn't pledged to vote for the bill on final passage to offer an amendment, Blumenauer said rules should adopt a "modified open rule" that would allow representative amendments and longer than 5 minutes per side for each debate. "People could stay late into the night and debate it," Blumenauer said, adding that 20 or 30 minutes per side would be appropriate for discussing programs that cost billions of dollars. "This is the most important health bill that this Congress will consider," he said. "We are subsidizing a diet that makes Americans sick." Blumenauer has a following but he doesn't have a seat on the House Agriculture Committee, and his involvement in the farm bill has long annoyed major farm groups that consider him a provincial, urban amateur who is playing at national farm policymaking. In the past some urban Democrats have supported Blumenauer. But this year his decision to offer amendments seems to be in conflict with the approach of House Minority Leader Nancy Pelosi, D-Calif., and House Agriculture Committee ranking member Collin Peterson, D-Minn., who have said they believe no Democrat will vote for the bill on final passage. Although Peterson participated in the negotiations on the farm program section of the bill, he has said the work requirements and eligibility restrictions under SNAP are so objectionable and the farm program so inadequate that there is no point in trying to amend the bill to improve it. It looks like Peterson and Pelosi won't have to worry about Blumenauer's vote on final passage. Blumenauer said that if some of the amendments he supports get passed he will "evaluate what (the final bill) looks like" and decide how to vote, but he quickly added that he won't support the bill if the "assault on nutrition" continues and if the bill still contains an amendment to curb states' abilities to regulate agriculture that was offered by Rep. Steve King, R-Iowa, in committee and adopted. King's Protect Interstate Commerce Act amendment would stop any state from prohibiting the entry of an agricultural product due to objections over how it was produced. California's decision to prohibit eggs produced under conditions different than the conditions that state requires spurred King to offer the amendment and for the committee to pass it. But Blumenauer cited a Harvard study that said the King amendment "could affect everything from commercial fishing regulations to lumber sales." The King amendment is "grotesque," Blumenauer said, adding that he doesn't think most members know anything about or how it would interfere with governing in their states. Blumenauer spent more than two years talking to people, primarily in Oregon, about what "a farm bill would look like for us," and he has written what might be called an Oregon coastal-centric bill since it does not focus on commodity agriculture. Blumenauer said his "farm bill just for Oregon would treat California better and people in New York and Florida end up much better off." He also said that smaller and medium-sized operators in major commodity producing states would also do better because subsidies would be limited. Blumenauer, whose district includes nurseries, Christmas tree, berry production and urban agriculture, would spend more on specialty crops and conservation, but he expects to find common cause on the House floor with hard-right conservatives on cutting crop insurance and commodity payments. Blumenauer said he is "under no illusions that my alternative is going to be in order, but "this is the first step in a long drama." "Because there are such bitter divisions I think it is highly likely that without significant opportunity to discuss the amendments, this bill is likely to be stopped in its tracks," Blumenauer concluded. "If it isn't, it will be stopped in the Senate. We have two, three four months to focus on what a better farm bill looks like."